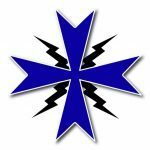 Help the Christians of El-Kaa, Lebanon – Ordo Militaris, Inc.
Help the Christians of El-Kaa, Lebanon! We at Ordo Militaris Catholicus have just learned of the very dire needs of our brothers and sisters in Christ, in this very Catholic Region of Lebanon: it is mostly Greek Catholic of the Melkite Rite, but lately it has become the home to another 1,500 Christian Refugees from Syria.. The region is so poor, that they are forced to sell their land to Muslims, which might lead to a complete take over of the area without the intervention of Christians from outside of Lebanon. El-Kaa is the English transliteration of the town’s name, which is also spelled, “El-Qaa”. To listen to our Radio Program on our project to help the poor in this town click the Image of our Blog Talk Radio Programs to the Right here! El-Kaa is located in that part of Lebanon which is surrounded by Blue (Hezbollah) on All sides and faces the Syrian Border. Grey indicates the region adjacent which was recently liberated from ISIS (DAESH). “While the Christians of El-Kaa say they’ve always gotten along well with their Shi’ite neighbors and they don’t see Hezbollah as a threat, they also know that if an anti-Christian threat were to arise, they’re basically on their own. 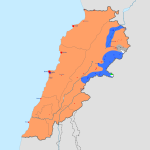 Further, given the border location, they’re in the eye of the storm whenever tensions erupt; the bloody Lebanese civil war started in the area, and when Syrian troops poured across the border to occupy a swath of the country, they rolled through El-Kaa. To Read more, please click the word CRUX. To help your brothers and sisters in Christ, at El-Kaa, please clock the Support Button at the bottom of this page. √ $5000 USD to provide immediate humanitarian aid, which will be distributed as needed by local Catholic authorities. NMay God Bless you and Reward you for this great help you to our Catholic Brethren!